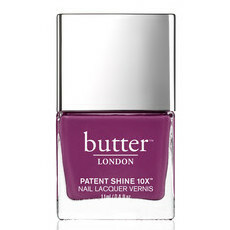 This oh-so-shiny topcoat protects your new colour from chipping. It dries super fast, and leaves a high shine for a perfect professional finish. The UV shields also protects against sun bleaching. A manicure essential. Apply a single layer over your favourite polish and allow to dry completely. 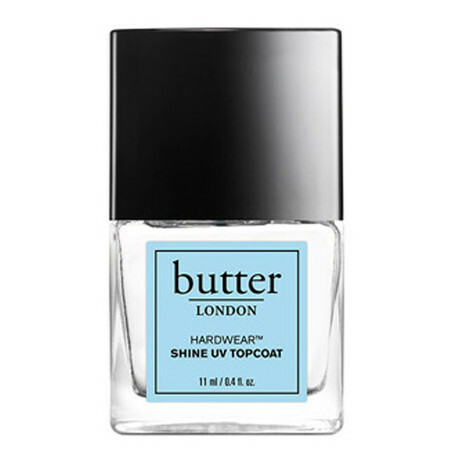 I love this topcoat, it has a great wide brush making application so much easier, it's fast drying and my nails have never been so shiny! 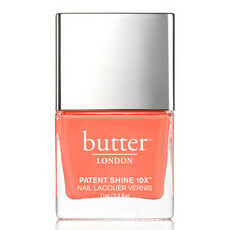 I'm not sure if it's my chemistry that doesn't agree with butter products but these nail polishes do not work for me. 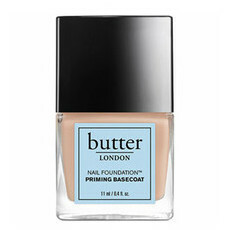 This top coat makes my nail Polish chip after a day. Formula also becomes gluggy and thick after a month. Disappointed. Will not repurchase.